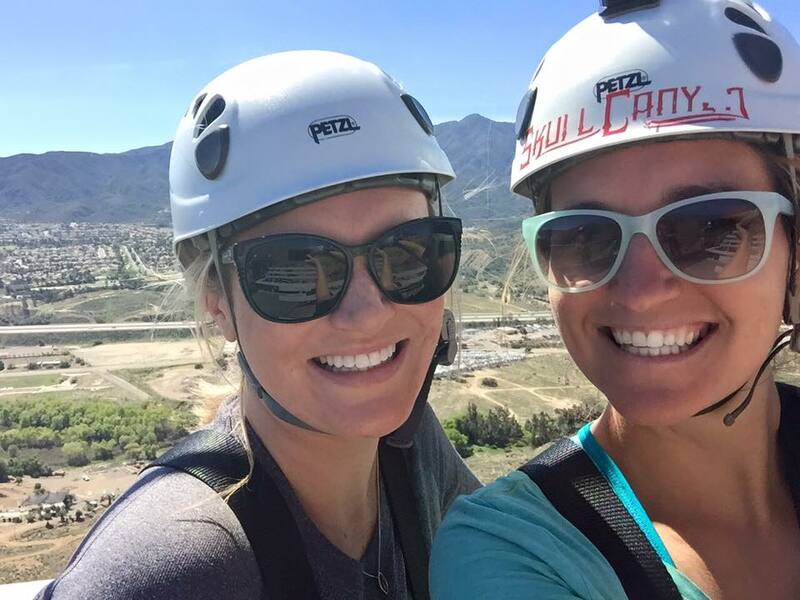 9,100 feet of ziplines, 7 different monster zips, an hour hike uphill, and no escape route make the Monster course at Skull Canyon Ziplines one hell of an adventure. I’ve been testing out a number of adventures in southern California lately. 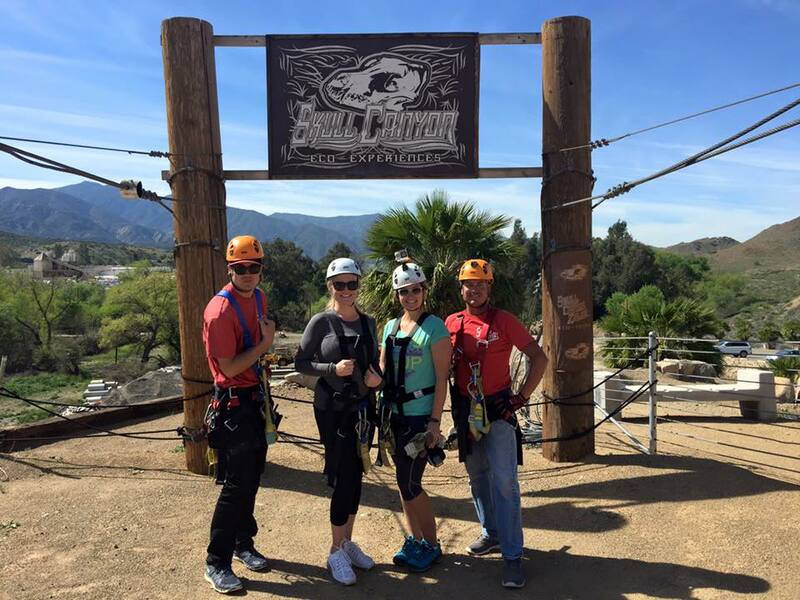 My latest Skull Canyon Ziplines adventure was yesterday in Skull Canyon near Corona, California. I’ve been ziplining a number of times before, I even did the longest zip in the world, but it still gets my blood pumping and fills me with adrenaline. 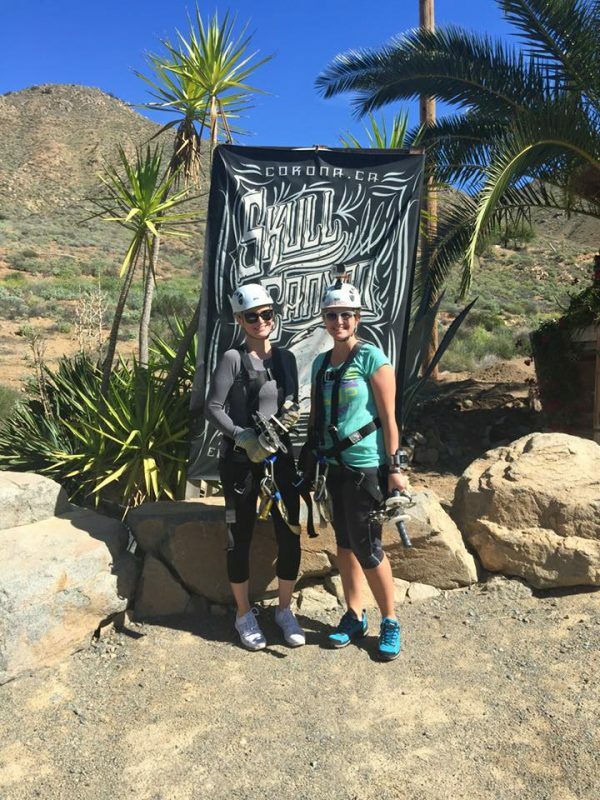 The Monster course at Skull Canyon Ziplines was my favorite zipline experience yet. The hike was exhilarating and the scenery was stunning, the course was well laid out, the guides were funny, encouraging, and knowledgeable, it was my friend’s first time and she was overjoyed to be there, and I got my adrenaline fix. 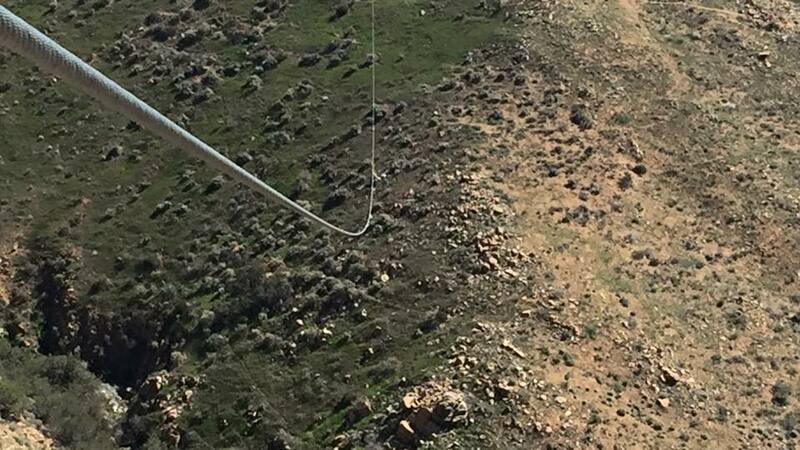 Every day is a good day for ziplining in California. When we arrived, the guides greeted us with a warm welcome. We were given a harness, a helmet, and a pair of gloves. The helmet had a GoPro attachment and I was allowed to bring my wrist mount as well. I didn’t have pockets for my phone and I thought I’d have to leave it behind but one of the guides, Mike, offered to carry it for me. Gratefully, I accepted. We took a photo at the Skull Canyon sign, did a test run on the practice zipline, and headed up to the hike starting point in a truck. There were two fantastic guides, but I immediately took to Mike. He’s funny and considerate and reminded me of people from home. He had that easy-going Cape Breton attitude. His jokes were funny in a corny way that makes you laugh and shake your head at the same time. He led the way and the other guide, Bret, was in the back. Our group was only four guests so it was easy to chat with everyone and enjoy the intimacy of the group. The beginning of the hike is not intense at all. There is a path that leads through the canyon and beautiful wild flowers added a pop of color in every direction. I did look up at the mountains and feel intimidated. I could see a zipline on the peak of two mountains and I wondered how steep the switchbacks would be to reach the first zip. We had stopping points with water and snacks all along the trail. Ashley and the guides weren’t even winded but I was feeling the burn about half way up. I wasn’t too tired to continue but I was grateful for all of the water stops. The other two guests were a father and son team. The son was worse off than me and I wondered if he’d make it to the top. Several corny jokes and bottles of water later, though, we arrived at the first zip. I looked back down at the office and felt proud of my accomplishment. We didn’t even begin the Skull Canyon Ziplines adventure, but I had a sense of fulfillment already. Ashley prepared to go first and she looked confident. The excitement was bubbling out of her and she couldn’t stop smiling. Although it wasn’t my first time, her excitement was contagious. Experiencing an adventure is always a thousand times better with good company. I did manage to capture the fear on her face as she began her first zip. It’s the only proof of her nervousness because she was laughing and smiling the rest of the day. Mike took several pictures with my phone and I took video with the GoPro but there was never anything less than a smile on my face. The second zip of the Monster course was my absolute favorite. It was a steep grade from the beginning and we had to hop off a platform to get started. The initial fear of the first zip was over, adrenaline kicked in, and I felt like a bird. I know we were only there for a little over two hours but I was sad to say goodbye to Mike and Bret. Mike handed me my phone and I gave him a hug. If he lived closer to me, I would have asked him to come over for dinner or to meet up for another adventure. 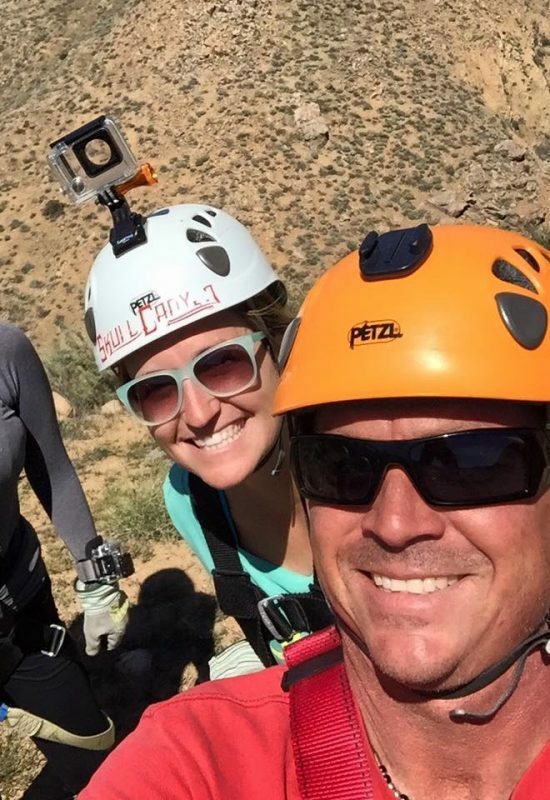 My Skull Canyon Ziplines Adventure was over but thanks to Mike, I had tons of photos to remember it. He even took candid shots when I wasn’t looking. It was like having a personal photographer there with me. The Monster course at Skull Canyon Ziplines was one of the most well-planned courses I’ve experienced but it was the company that put the adventure over the top. That looks incredibly steep, wow!! Wow, the views look breathtaking! Riding a zip line is on my bucket list, especially since I have a fear of heights. I’m not sure I’ll be able to tackle one as steep (wow! ), but it looks like an amazing experience!